Porter Ranch, California- September 5, 2017- Now available on the App Store and Google Play, the EZServiceCall app offers both consumers and service providers the opportunity to connect through one easy-to-use mobile platform. Those seeking services now have the chance to find high-quality providers, review experiences, compare prices, and place an order all from their mobile device. EZServiceCall also offers service providers the opportunity to reach their target audience like never before by bringing customers straight to them. With the school year off to a start, EZServiceCall comes at the perfect time for students looking to connect with tutors who can help them excel in their studies. EZServiceCall also offers a wide range of services such as pet care, senior home care, music and dance lessons, hospitality, coaching, transportation, and weight loss providers. EZServiceCall works through a mobile app platform. Users who are looking for services can download the app to their phone or tablet and then follow a simple signup process. Geolocation helps users to find service providers within their area, making it possible to match only providers who are available in their location. The EZServiceCall app takes consumers through the entire process. Users can seek providers based on categories, highlight their favorites, compare pricing, and order services all from the ease of their mobile device. Since communication is a vital part of good customer-provider relationships, EZServiceCall offers ways for both clients and providers to exchange information with each other through the app. The EZServiceCall app works to meet all of the consumer’s needs and empower them to locate and order services anywhere, at any time. Thanks to EZServiceCall, there is no longer any worry about waiting for business hours, searching for business provider listings, or choosing a service that is too expensive. EZServiceCall is guaranteed to connect users with high-quality service providers with the lowest rates, the best practices, and the closest proximity. While EZServiceCall obviously works to help consumers, it is also a valuable tool for those who provide services. Whether one is an individual professional or part of a business, EZServiceCall makes it possible for them to offer their services through the app. Through EZServiceCall, providers can present their services and then wait for customers to find them. For a limited time, EZServiceCall is offering a promotional discount that gives providers six-months of free inclusion on the app. Given time, the creators of EZServiceCall hope to change the entire way that the world finds and orders services. Through this innovation new app, the change has started! 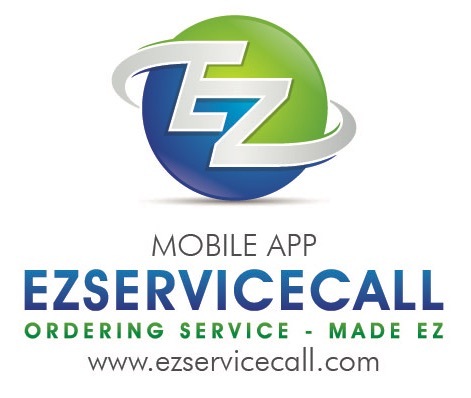 The EZServiceCall app was developed by TopCone, a brand devoted to helping both consumers and service providers. By designing an app that helps to connect the two, they seek to save time and money for everyone involved.